Who’s that swinging in the trees? What’s lurking beneath the water? Who’s taking shelter in the cave? Young children will love lifting the flaps to hunt down the animals in this delightful board book. 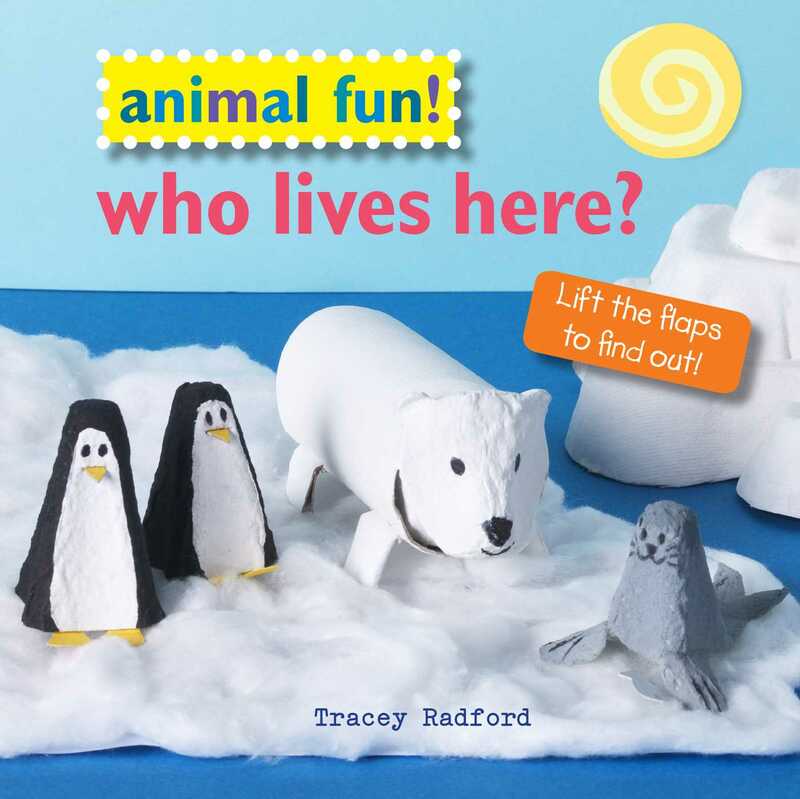 Tracey Radford’s bright and bold creatures and wonderful settings will appeal to young children, and finding the animals beneath the flaps will make them squeal with delight. Book Cover Image (jpg): Animal Fun! Who Lives Here?